That luxurious packaging and a ton of hype motivated me to purchase this mascara from Sephora. I was looking for something dramatic for my lashes because I do not wear falsies. 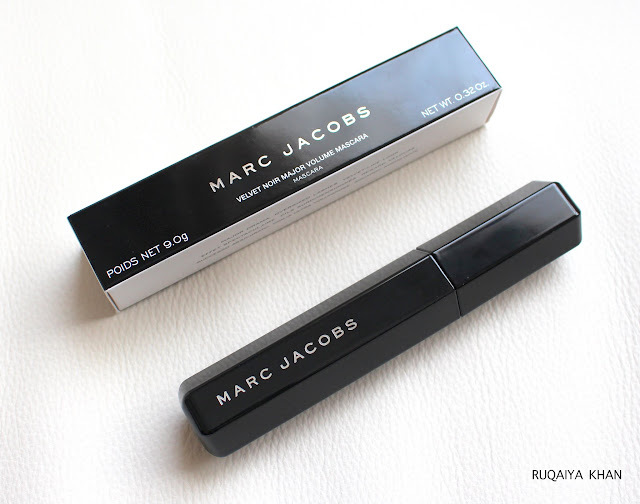 So, words like "major drama" hits me at the right spots and Velvet Noir Mascara's overall branding is so spot on, who is not gonna get one? Anyways, I really took my time to evaluate this mascara on how it treats my lashes and how long it lasts and I am quite surprised at the results. 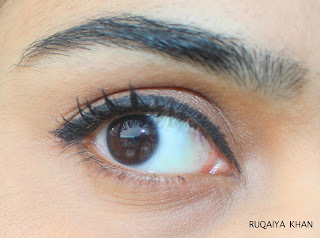 As you can see from above, that this mascara does add volume by just clumping up lashes. It does accentuate the length a bit, but not significantly. 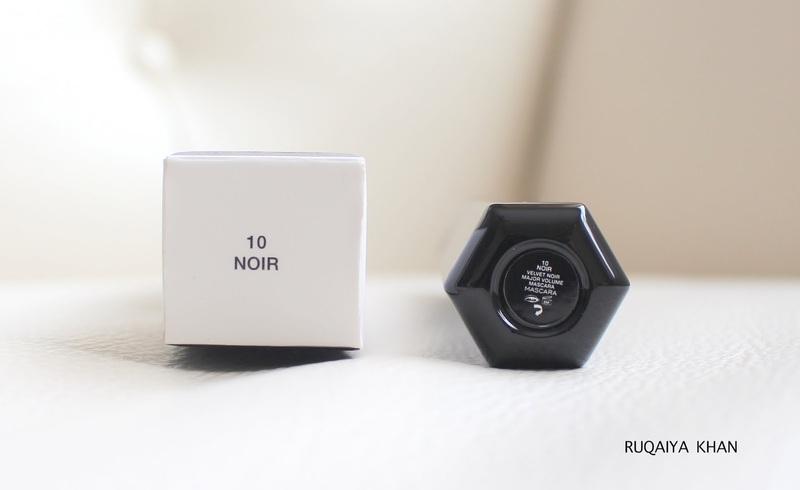 When I used it the first time, the formula seemed to be wet and I worried about it taking time to dry. After the third use, the formula thickens :O and it becomes much easier to add a lot of product on the lashes on one swipe. 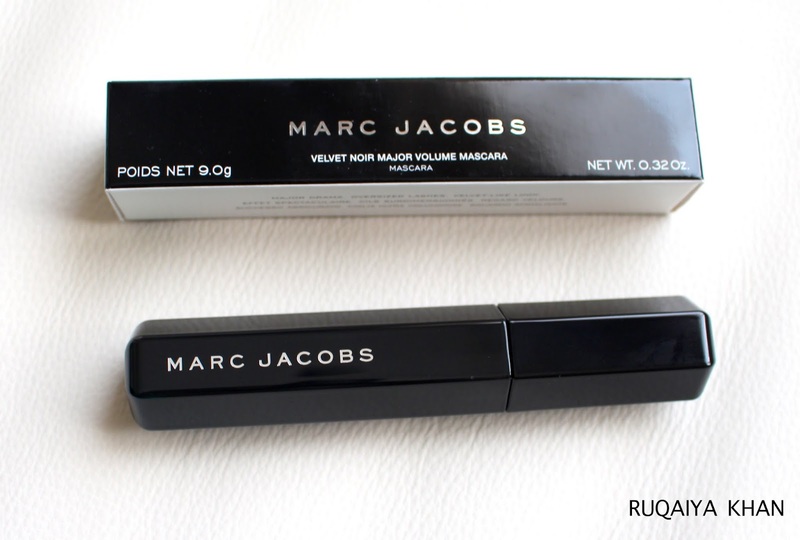 It lifts the lashes and coats it with a lot of product. Unfortunately, it flakes off quite a bit too. 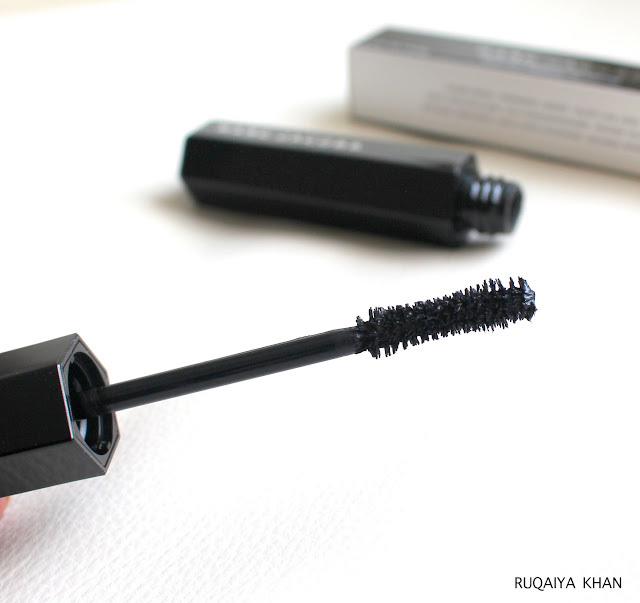 What almost drove me crazy was when after a week of using it, the formula is so thick and gloppy, it's unbearably clumpy and just bunches up my lashes in a unflattering way. I had to use a lash comb to separate my lashes! But even then, there were just too many flakes on my under eye! 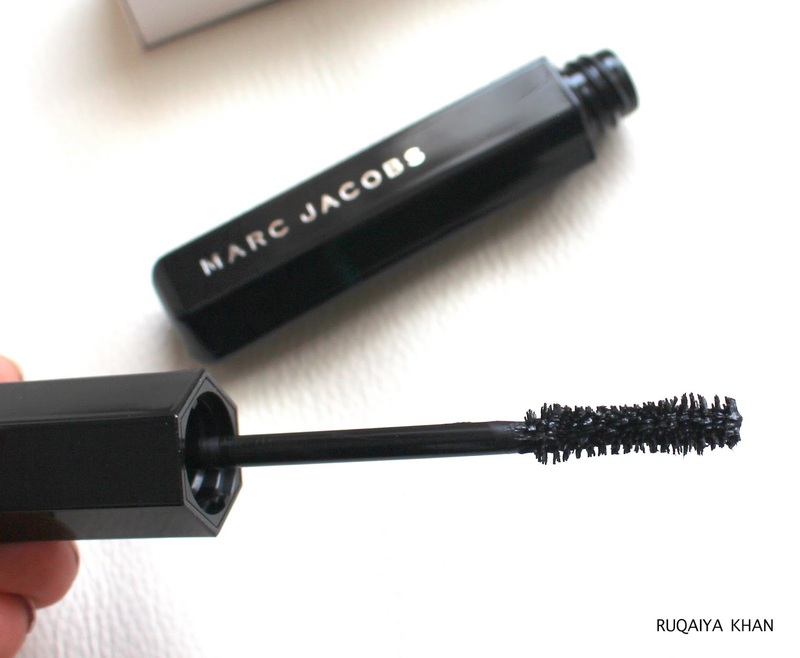 I don't even know how this mascara could get so much hype and positive feedback because even though the shape of the brush is great for coating all the lashes and the first 3 uses were good too, but I am suppose to use my mascara for 3 months, right? That's what I paid the $33 for! For me Velvet Noir is a fail. 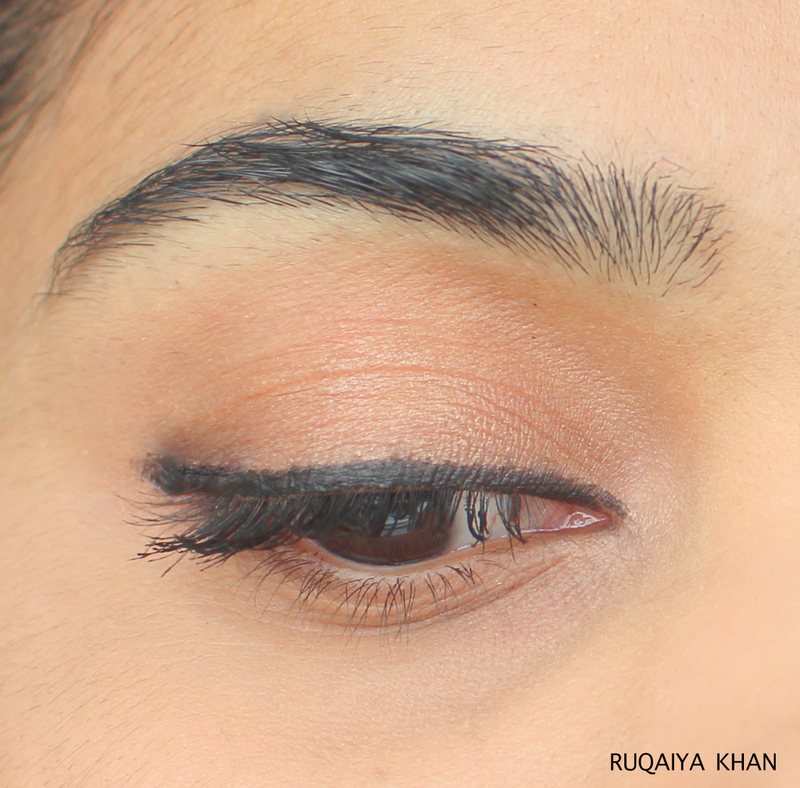 It clumps and flakes after 4 hours so be ready to lift off those black flecks off your under eye area with scotch tape to stop looking like a mess at school or work.